The second race of the F1 season is coming up fast as we’re just a week away before the cars hit the track again. There’s still loads of news as they’ve just completed qualifying, which presented some impressive results of its own. Ferrari is finally living up to their come back as both the Ferrari drives managed to grab the front row by qualifying in first and second. 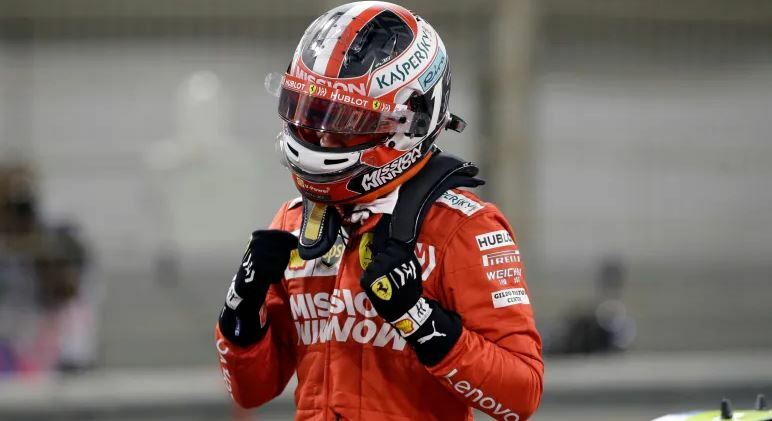 Newcomer Charles Leclerc managed to catch the pole position and even set a few lap record speeding around the Bahrain Int Circuit in a mind-blowing 1:28.866, which is an incredible 0.294 seconds faster than his teammate Sebastian Vettel. In qualifying 3, the Ferrari driver managed to get an even better time, knocking off another second from his time and finishing the weekend with 1:27.866. He is the only driver leading a 1:27 time, which was all done within just 14 laps. At the same time, you can’t take away anything from his teammate Sebastian Vettel who managed to finish in second place for qualifying, meaning next weekend would feature both the Ferrari drivers at the front! Vettel finished with an impressive time of just 1:28.160 in the fastest Q3 with Q1 and two not being far behind, showing us consistent times. The Mercedes team takes both eh third and fourth position for qualifying, also offering some great times as they make their way around the track. However, neither Hamilton or Bottas could keep up with the Italian team as managed low to mid 1:29’s with Q1 and only just got into the mid to high 1:28’s in Q2. Hamilton did get close to Vettel’s time by Q3, presenting the fastest lap of 1:28.190, just 0.030 slower. At the same time, it’s worth mentioning that Hamilton did the time with an additional two laps, which makes the Ferrari’s times that much more impressive. Both Mercedes drivers completed more laps than the Ferrari team and still couldn’t get their times. Bottas certainly gave his best as well, grabbing the best time of 1:28.256 by Q3, putting the top 4 drivers less than half a second apart. Of course, this means we’re in for an action-packed race for next weekend. The last F1 race in Australia gave the Mercedes team a considerable headstart for the season ahead, gaining huge points as they finished in both first and second positions. While everyone was expecting Hamilton to finish in first, it was his teammate Valtteri Bottas who grabbed the pole position and score 26 points. His teammate finished just after his, giving Hamilton 18 points for the first race of the season. Both the Ferrari drivers also managed to finish in good positions, claiming both 4th and 5th with Vettel in 4th. They currently have 12 points for Vettel and 10 points for Charles, which doesn’t put them far behind, but if they hope to claim the championship and stop Mercedes from breaking the record Ferrari holds, they’ll need to ensure they stay ahead.